The 376m Par 4 dogleg left is the signature hole of the back nine, with a tee shot starting through a tunnel of trees that guard the fairway. 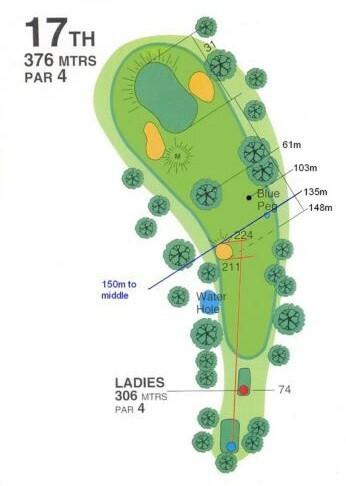 The ideal tee shot is anywhere from centre to the right hand side of the fairway, as the second shot requires you to negotiate a 600 year old Murray River Gum forming a narrow entrance to the green. Nestled on the Murray River and boasting all amenities for the perfect getaway, Corowa Golf Club has a sizzling 27 hole championship golf course, pro shop, modern clubhouse and motel.